New York Gov. Andrew Cuomo, one of the more loathsome politicians New York has ever produced—which is saying something considering the competition—has finally stumbled upon a good idea: congestion pricing for Manhattan’s streets. He’ll probably mess it up, though. Congestion pricing is what it sounds like: in the future, you might have to pay a fee to enter certain parts of Manhattan at certain times of the day. 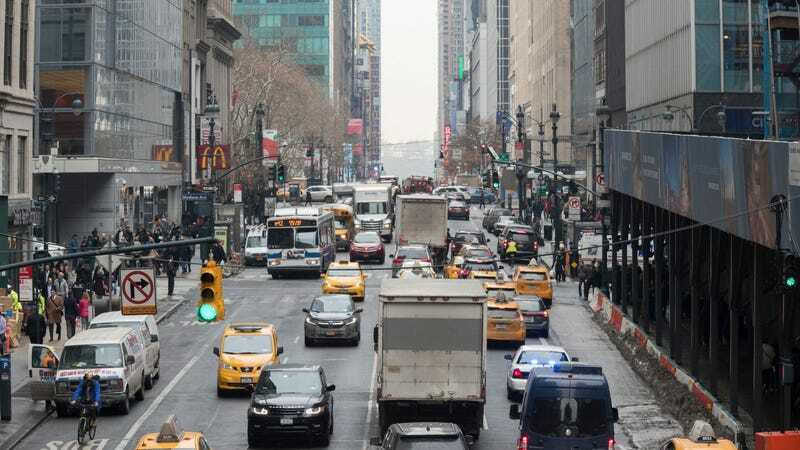 The proposal unveiled last week would make that fee up to $11.52 for passenger cars and $25.34 for trucks, while cabs would be charged $2 to $5 per ride below 60th Street in Manhattan. All of those fees could generate up to $1.5 billion annually—money which would be earmarked for the MTA, which runs NYC’s broken, overloaded subway system, and which Cuomo controls. All of this is a great idea, though by the time the proposal—still just a proposal—makes its way through the legislative process in Albany, I’m sure it will probably look quite different. Indeed, according to The New York Times, legislators are already priming themselves to use it to mess with the region’s transportation ecosystem. State Senator Martin J. Golden of Brooklyn, one of two Republican senators from the New York City area, said that the $17 toll on the Verrazano-Narrows Bridge that links Staten Island and Brooklyn would need to be addressed before he could support any congestion pricing plan. Meanwhile, a variety of other interest groups have their own proposals and grievances. “Treating taxis — who have paid into the system and should be exempted from additional charges — the same way as those responsible for the problem makes no public policy sense because it won’t reduce congestion,” said Nino Hervias, a spokesman for the Taxi Medallion Owner Driver Association, which represents about 1,500 individual taxi owners, most of whom are immigrants. Some of these ideas have been recycled from past efforts. Lower outer borough bridge tolls and money for roads and bridges were in an earlier plan proposed by Move NY, a grass-roots campaign, as a way to garner broader support by distributing the costs and benefits of congestion pricing more equitably across the city. This is how the legislative sausage is made in New York—with a million competing interests shouting to have their voice heard, before it’s all decided by a group of corrupt bozos in Albany and, eventually, Cuomo himself. As it stands now, the congestion pricing proposal is elegant and simple—we will take the money from the cars, and give the money to mass transit. An even better proposal would be to take more money from the cars and give more money to mass transit. I have the best idea though. 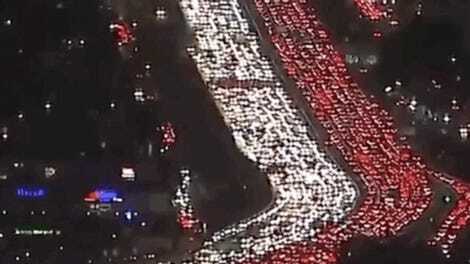 Let’s shut down the city for 10 years and rebuild its transportation system from the ground up, undoing Robert Moses’s legacy asphalt by chunk of asphalt. We can all move to Montana or something in the meantime. We deserve it anyway.